In 1994 rap musician Reggie Rockstone Ossei returned to his native Ghana sparking a musical revolution. Rockstone left a successful English-language rap career in London to record and perform Akan-language Hip Hop in the clubs and studios of Accra. This film follows Rockstone, known as the “Godfather of Hiplife,” as he tries to build hip hop culture in Ghana. 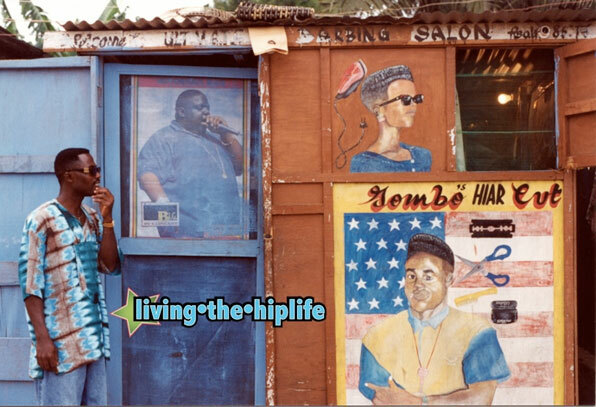 Hiplife consists of African American rap lyricism and beat-making creatively mixed through electronic technology with older proverbial speech and urban highlife rhythms and vocals. With humor and personality the film follows Rockstone through the corners of urban living as he navigates the tenuous life of a hip hop superstar in a postcolonial metropolis. His story is intercut with the trials of the Mobile Boys, a young group of aspiring rappers, as they work to make it in the music industry. In the context of national change this film traces the artists and innovators who mixed hip hop and highlife music, creating hiplife musical culture over the course of a decade. While critics decry rap music as “foreign,” youth see it as part of the Pan-African legacy of Ghana. 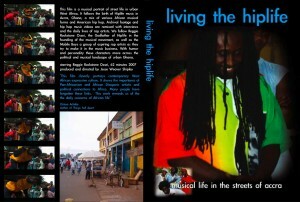 Historical footage is remixed with studio and concert material painting a portrait of urban culture in Accra’s streets. The film ties political history together with vibrant musical life to look at the economic hopes and musical dreams of young Ghanaians as they confront the realities of corporate sponsorship, political change, and international hopes. This film was shot in Standard DV between 2003-6 with a small Ghanaian and American film and audio crew. The crew worked in conjunction with a number of Ghanaian rappers and music engineers in studios, concert venues, taxi stations, music shops, churches, houses, kiosks in and around Accra. Several hundred hours of footage has been painstakingly edited into this hour long documentary. It was produced by Rab Bakari along with the director’s direction.